. إن الخدمات التي يقدمها Burnie Airport Motel تضمن للنزلاء إقامة مريحة. يقدم هذا الفندق العديد من الخدمات الكفيلة بإرضاء أكثر الضيوف تطلباً. ادخل إلى واحدة من الغرف 25 وتخلص من عناء نهار طويل بمساعدة مجموعة كبيرة من الخدمات كمثل تلفزيون بشاشة مسطحة, غرف لغير المدخنين, تدفئة, خدمة الإيقاظ, مكتب الموجودة في بعض الغرف. يمكنك طلب اللائحة الكاملة للخدمات في الفندق ومن بينها مسار جولف - ضمن 3 كم, حديقة. اكتشف مزيجاً ساحراً من الخدمة الاحترافية والخيارات الواسعة من وسائل الراحة والمتعة في Burnie Airport Motel. Everything about our stay here was fantastic. Room clean and comfortable with a great view. Staff so helpful and friendly. Breakfast was delicious. Would highly recommend. We live on the north west coast and wanted a location to explore from ... did not need to...scenic location from the doorway. Breakfast - overheard others confirming our opinion that this was the best selection encountered - and included local produce. And the manager was friendly, knowledgeable and treated everyone as special! Only spent a night but wish I'd spent longer. This might be your typical 1960 drive up motel but located at 1 Goldie Street it's very well located in the Main Street of Wynard. 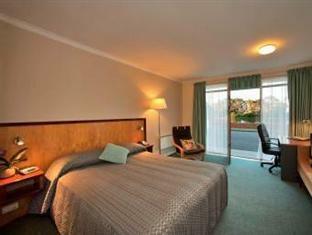 The 25 rooms are extremely clean and well appointed with a double bed and a single bed. Perfect for a family stay. 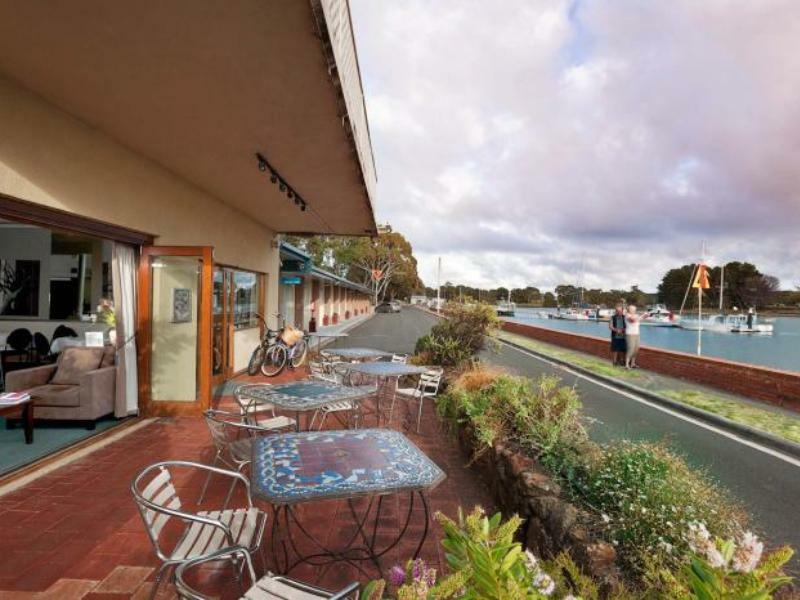 It is located right on the Inglis River with a stunning outlook. If your looking for a nice lunch or dinner try the Fish and chip shop on the wharf right next to the motel. Best chips I've ever had but don't forget to order fish with them. The breakfast at the motel also exelant. The starf friendly and very helpful and the room had a well stocked minni bar. Comfy beds, Foxtel and a great heater. I thought it was exelant value for the money we paid. I would definitely stay again. The stay was very comfortable, staff very helpful, wifi good, nothing to complain. Good hearty food in the restaurant, good service too. I stayed in room 57. This room is the closest to the highway and was quite noisy with trucks passing in the night. Also any cars that used their high beam lit up the room at all hours of the night. The restaurant serves nice food, although a bit on the pricey side, especially breakfast. Good location, easy to find, friendly service. Room very cold but the heater was resonably effective, just make sure you get a room away from the main road! Free WiFi worked well. Ottima posizione per transiti nel nord ovest della Tasmania. Molte alternative nei dintorni per chi ama la natura (passeggiate, canoa, nuoto).